Annette Kreis (EDH) is a native of Australia where she qualified as a dental surgery assistant. She arrived in The UK in 1982 and studied dental hygiene at Birmingham University School and Hospital, graduating in 1990. From this time she has worked exclusively in private practice in and around the West End of London. Her wide experience in all aspects of patient care and maintenance are a valuable asset within London Holistic Dental Centre. Alongside the other members of the team Annette regularly attends courses to extend her knowledge and develop professionally so providing up to date personalised care and advice. Annette enjoys socialising, travel and Aussie Rules Football (watching only!). Maryam Abrishami (EDH) qualified in hygiene at Kings College London in 2001 and complements the team beautifully. Her holistic approach to hygiene with a focus on relaxation and breathing makes a visit to her a tranquil, restful experience. A favourite with nervous and phobic clients. Maryam is also a qualified and active Yoga instructor. 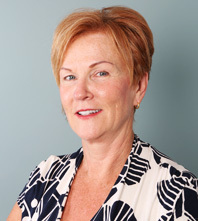 Laune White (CertHE) began her career in dentistry in 1988. In 1990 she qualified as a Dental Surgery Assistant from Tooley Street College, London. 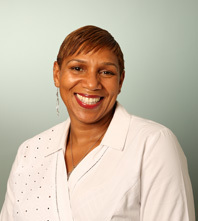 Laune continued to assist in private West End practice until 1995 when she undertook further training in practice administration and management. She worked for two large dental corporate organisations, eventually managing three large central London practices. 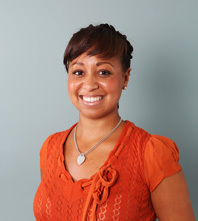 She joined London Holistic Dental Centre at its inception and has overseen its development. Her efficiency, organisational skills and sympathetic personality are ideally suited to her central role and make her popular with both patients and colleagues. Laune enjoys travel and keeps fit with running and kickboxing! She is very interested in personal development and is a qualified Massage therapist. Kylie Santiago NVQ L3, VRQ Dental City and Guilds 2009 joined the team in March 2009 and quickly established herself as an invaluable team player. Her friendly, compassionate nature and excellent clinical skills are appreciated by all. Kylie is committed to furthering her dental education and experience, her calm, methodical approach to new challenges augurs well for her future. In her spare time Kylie enjoys travel, socialising and painting.